We are open on Monday 22 April from 11 a.m. to 4 p.m.
You are welcome to visit our showroom with a good cup of coffee or tea to discuss your ideas with us. On Saturday 27 April we are closed because of our Dutch Royal day! De Opkamer | Who Are We? We are a professional family business, specialized in architectural antiques, antique fireplaces and reclaimed building materials, such as reclaimed natural stone floorings, antique garden ornaments, French terracotta floorings, dalles de Bourgogne and antique firpelace mantels. You can recognize our passion for antique building materials in our showroom and our warehouses, where you can walk around and smell, touch and feel history and authenticit. Every three weeks we roam Europe smiling, while we are looking for architectural antiques and reclaimed building materials. 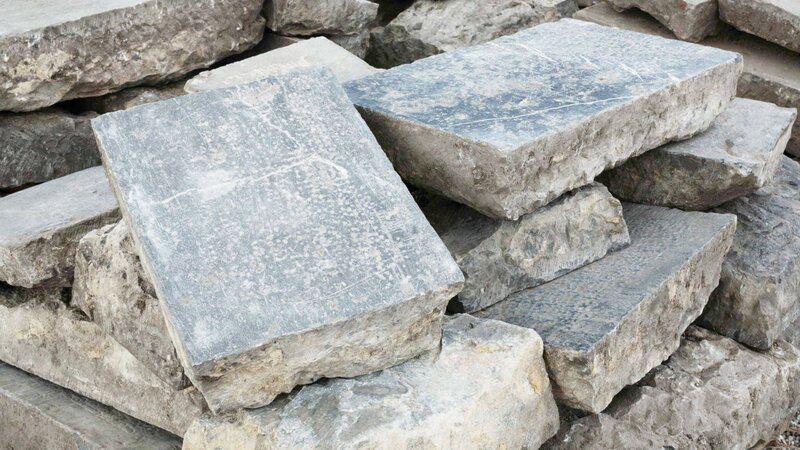 In Belgium, we find beautiful antique Belgian bluestone floors, or we dismantle beautiful antique church floors or bluestone slabs from ancient monasteries. 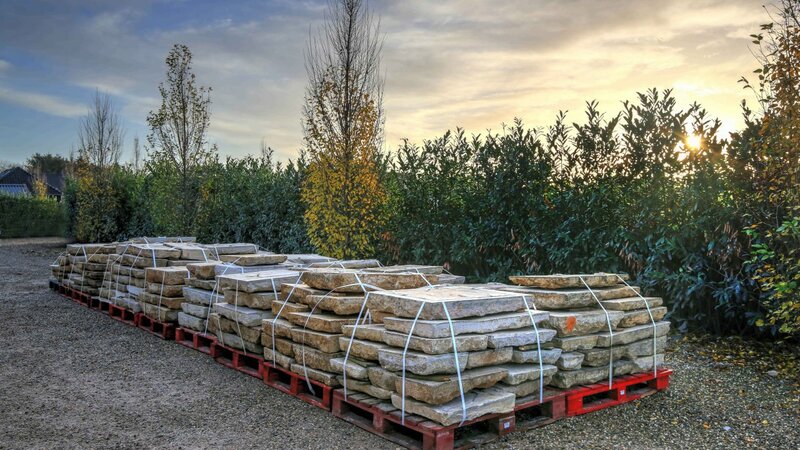 We transport these exclusive stone floorings to our warehouses, where the antique slabs are cleaned and prepared to be sold. Antique Belgian bluestone floors are rare and hard to find nowadays. 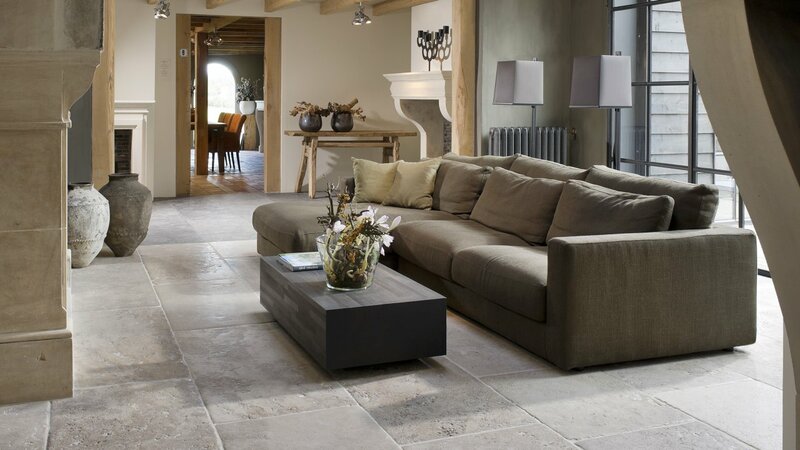 We therefore have also a beautiful collection of antiqued floors made of Belgian stone. These floors are aged by means of various processing techniques to obtain the authenticity and the character of original old natural stone floors. 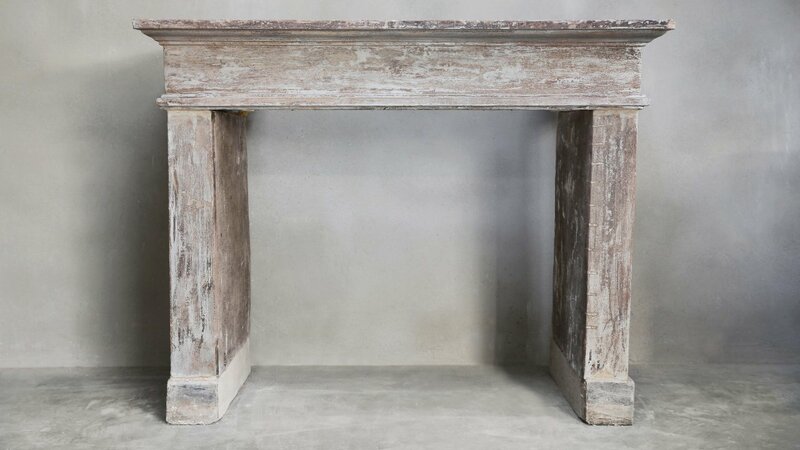 The most beautiful and exclusive antique fireplaces are predominantly sourced in France, Italy and Belgium. 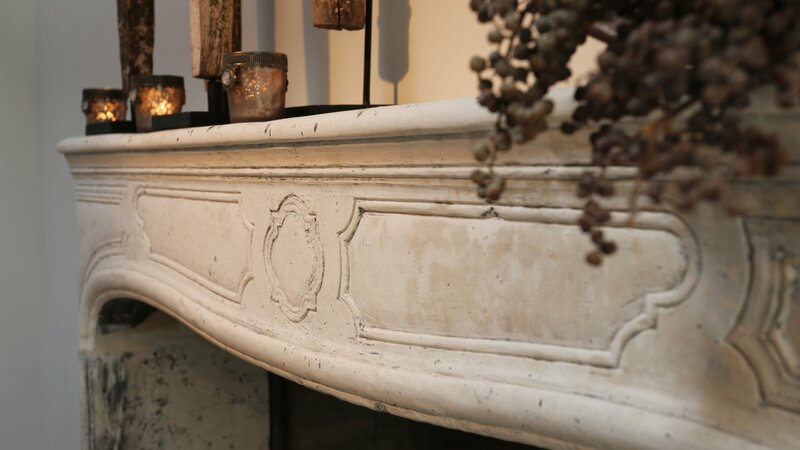 We have a beautiful collection of approximately 250 antique fireplaces in exclusive marbles, French limestone and Burgundy stone. 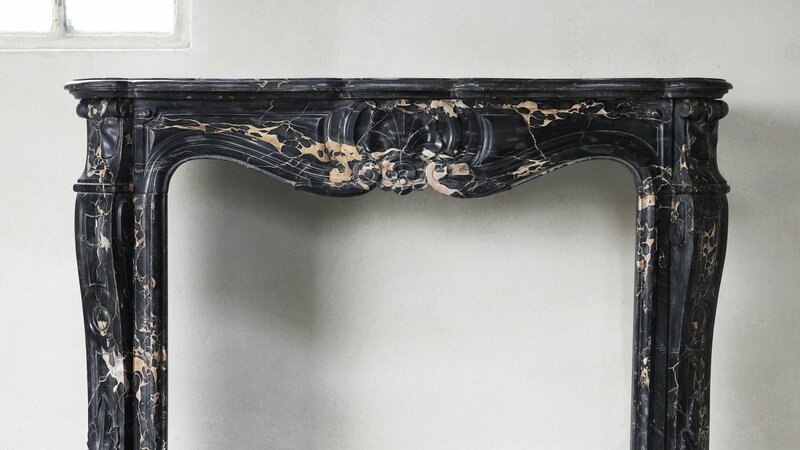 Our antique marble mantles often date from the 18th and 19th century and are carved from old and rare marbles. 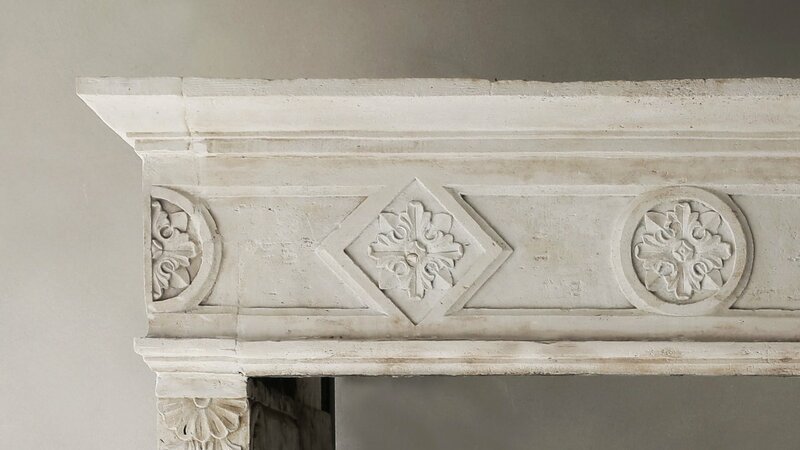 In addition to exclusive marble fireplaces, we also have a wide choice of limestone fireplaces from France. 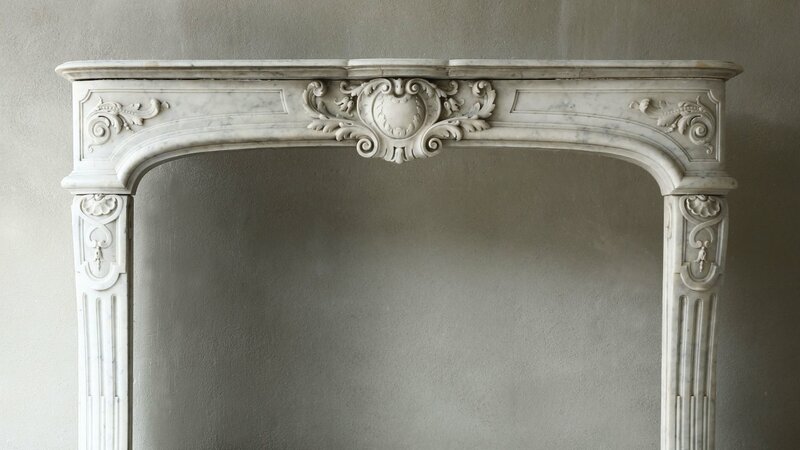 Our antique fireplaces have a special diversity of styles, ranging from robust Renaissance fireplaces, to richly decorated Louis XV fireplaces and rugged old castle fireplaces. We have a weak spot for simple and countryside Campagnarde fireplaces ourselves; they just radiate authenticity. In addition to antique fireplaces, we can also provide custom fireplaces. Our stone carver in France is a specialist in chiseling and carving fireplaces out of French limestone. In our showroom, we are showcasing around thirty fireplace types, which can be carved especially for you in any desired dimensions. 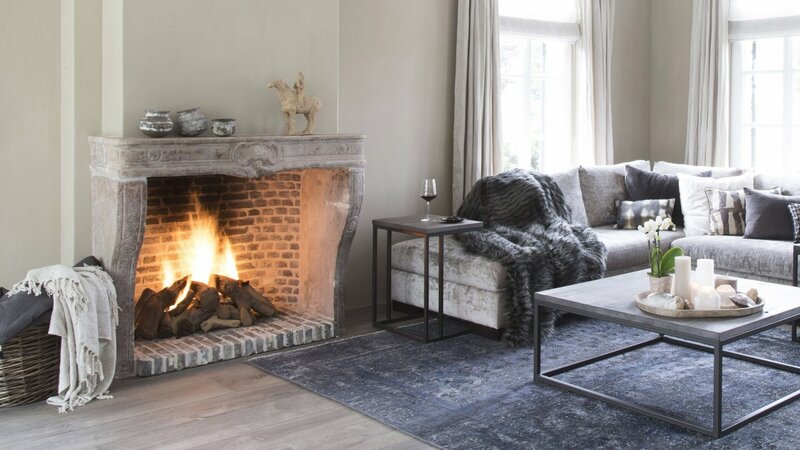 In France, we source and reclaim unique antique floorings such as dalle de Bourgogne limestone floorings, 18th-century massive oak plank floors and antique terracotta floortiles. 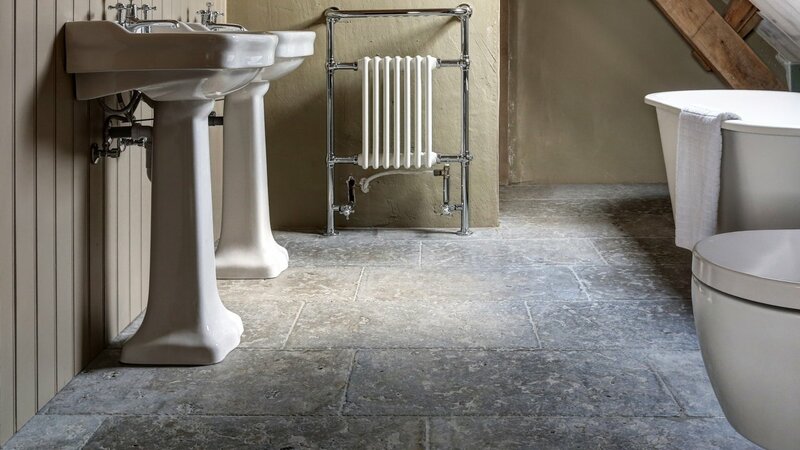 Antique French limestone floorings from Bourgogne are the pinnacle of authenticity. De Opkamer have been specializing in sourcing and restoring these exclusive floors which are often called "Dalles de Bourgogne". 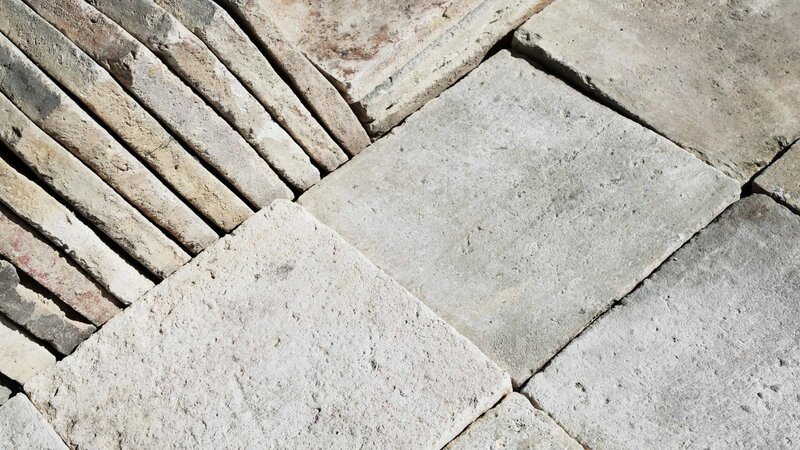 These Burgundian flagstones are old limestone floors which sometimes emerge during the renovation or demolition of an old farm and they may be as thick as 10 to 15 cms. We generally saw the top layer (first layer) back to 3 cm thickness, so your tiler can perfectly lay your flooring. Since the start of our company we have been specialized in antique French terracotta floors. These beautiful reclaimed terracotta floortiles often have different names such as antique parfeuilles, tomettes or French tiles. In the olden days, these tiles were formed by hand out of local clay and then fired in traditional kilns. Reclaimed French tiles are characterized by their beautiful color palette of various reds and oranges. Sometimes we also have nice ancient white, grey or traditional terracotta tiles available. Old Dutch terracotta tiles, the so-called estrikken, originate in the Netherlands. These antique tiles are available in two colors. In particular, the blue grey reduction fired terracotta tiles are very popular. These reduction fired floor tiles come in beautiful shades of blue and grey. In Belgium these old terracotta floor tiles are better known as blue reduction fired Boomse tiles or old black Boomse tiles. We offer a collection of beautiful old garden ornaments such as old troughs, antique wells and old steps. We also have a special collection of unique antique cast iron firebacks. There is always a large stock of old bricks, including hand shaped ijsselsteentjes, bricks made out of clay from the river IJssel, Boomse schouwklompjes bricks, and old paepsteen bricks. We hope that our passion for our craft has raised your interest. Antique building materials such as fireplaces, old oak plank floors and exclusive natural stone floors are the specialty of the Opkamer. 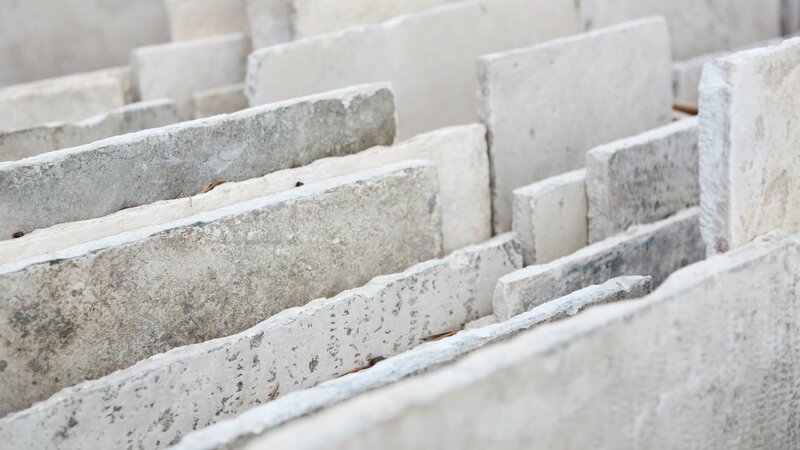 These are often historic building materials that can be released from the recovery of old farmhouses, monasteries, historic farmhouses and churches and are essential for the restoration of your farm or your new home. The old floors we find range from natural stone floors Belgian bluestone, French terracotta tiles, old Dutch braised terracotta tiles, bluestone slabs, antique farm tiles and antique fireplaces of old French limestone and marble fireplaces. In our collection we have also exclusive natural stone flooring availbable such as blue stone floors of Belgian bluestone, old church floors, antique Burgundy slabs, old bluestone floor tiles and old church dales.